That is a freaking mouthful LOL =) But that's what it is, and I had to throw the (holo) in there because I will have one coming soon in cremes. My favorite nails from this marble are the right pinky & ring fingers, and the left ring. The left middle might have been best if I'd managed to center it buuuut ... well, no such thing as a 100% flawless water marble, at least I haven't managed it yet LOL. I'm drooling looking at this manicure. Just stunning! 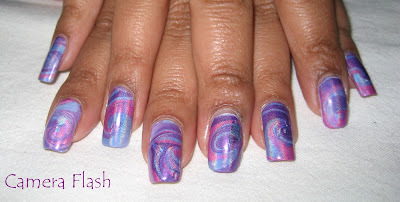 I've been too chicken to try marbling but after seeing this one, I might just have to give it a try. I love this one. You're makng me want to marble again. 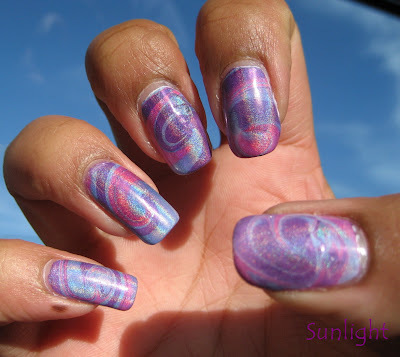 this is pretty.. i also have some troubles on bubble whenever i do some water marble..i would love to try the swirls marble nails.. Beautiful!! Great tutorial, thank you!!! This is the most prettiest marble ever! 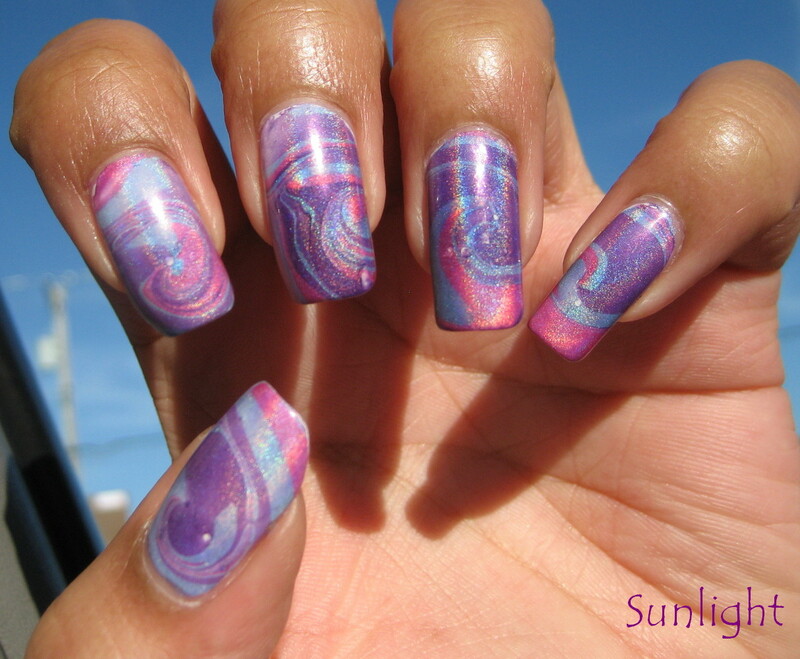 Oh wow - nobody does marbling quite like you! This is amazing, just love it! 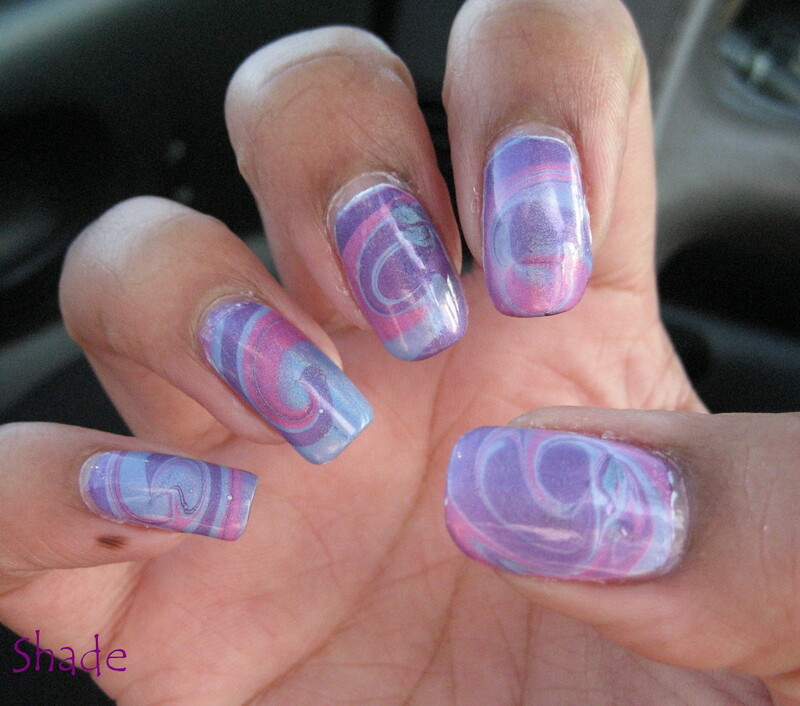 Perfect marble again :) I love that mix of colors ! 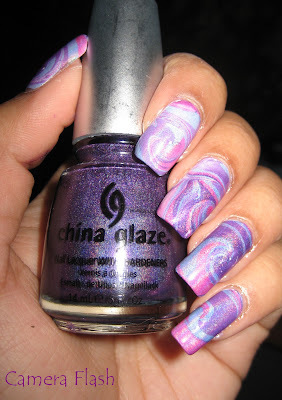 Wow I love this water marble effect!!! I never thought of tape to cover the skin around my nail!! Thanks for the fab tutorials!! I can tell you're from Minnesota, hehe. 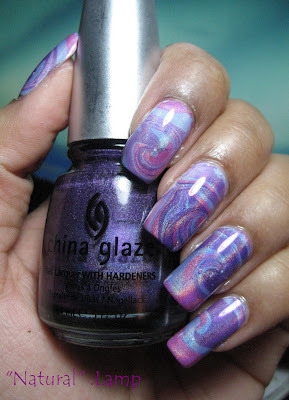 I love this marble mani, one of the best I've seen. EVERYONE - Thank you all! BABYD - I am sooo late, but thank you for the award! 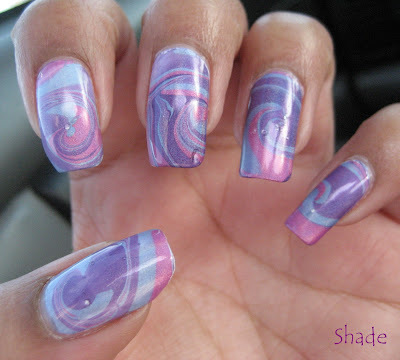 I love your designs and creativity Im going to try this on my nails and my daughter's also. I will send you a pic when Im done. I love this tutorial but it didn't work for me. I moved quickly but the nail polish didn't spread out in the water. It stuck to the top and "dried" on the water so I couldn't swirl it. The polish just stuck to my stick when I tried to swirl. What am I doing wrong?